Grace Garrett has worked in the design industry over the past twenty years, including graphic design, fashion and interiors. She is an Educator at Sydney Design School and has extensive experience as a colourist and designer both in Australia and overseas. Grace has a style that is dynamic, modern and bold. Her collections are inspired by travels and the journey of life experience. The first collection - Beauty of Asia was created whilst living in Asia. Grace now has a number of collections under her belt. - The Beauty of Asia - Deco Glamour - A Sunburnt Country - Afrique Tribal - Urban Aztec. - By the Seaside * Soon to be released * Recently featured in Australian House & Garden magazine’s Top Women in Design, her textiles are regularly seen in a number of other major interior design publications. Grace is now embarking on an exciting new collaboration with Coco Republic creating an exclusive, custom rug collection. Grace is also partnered up with Taubmans, styling and designing for up-coming photoshoots and colour trends. Also working along side “The Three Birds Renovations” Grace supplies her textile collections and products for their latest home renovation projects. Grace is now becoming recognised as a leading Australian textile designer and stylist. 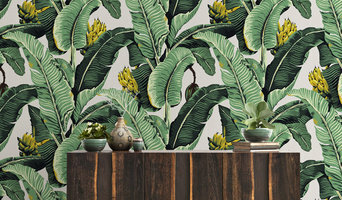 She has been recognised by Porter’s Paints for excellence in colour and surface design, and has been a finalist in the Australian Dulux Colour Awards, the Designer Rugs Awards and the Fred Hosking Surface Design Awards. Our Director David Marr brings his flair of artistry to a wide range of styles including antique and contemporary designs. Working with leading interior designers, project managers and commercial clients in Australia and New Zealand, as well as domestic customers, David and his team offer personalised services and superb craftsmanship in all their work, putting them at the forefront of the upholstery business. 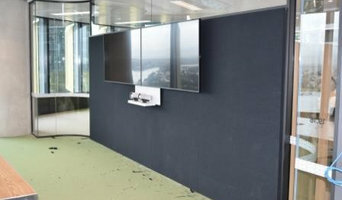 At Sydney Upholstery we offer upholstery services throughout Sydney for both domestic upholstery services through to corporate commercial upholstery. 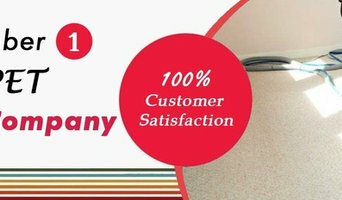 With Sydney Upholstery whether it be a total re-upholstery service you require or partial upholstery restoration services, we can customise an upholstery service to suit your needs and budget. 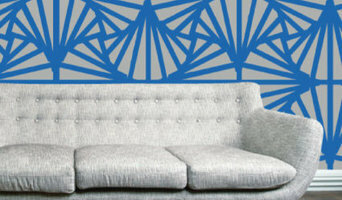 Sydney Upholstery has extensive years in upholstering and re-upholstery old and run down furniture. We do however offer many other solutions for your home or business. For more information on our upholstery services, or if you have a furniture item you need re-upholstering services on, then simply take a photo of the furniture in question and send it to Sydney Upholstery for a quick quote. 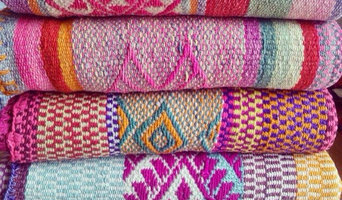 el hummingbird sells unique handwoven textiles known as "frazadas" from the Andean mountain range in Peru. They work directly with artisans in Peru and offer wholesale and retail orders worldwide. They also offer a custom-made cushion service where you choose the frazada to make your cushions. No two frazadas are the same so you can be assured that your piece will be one of a kind. Every piece is carefully selected and sourced in person from trusted local artisans, so el hummingbird’s customers can be assured that all products are incredibly unique and authentic. Roberto and Liz love the people they meet on their travels and are always focused on giving something back to these communities. Hemp Gallery specialises in high quality, environmentally benevolent products. We are an Australian owned and operated business. Wherever possible, we use Australian hemp products and suppliers, embracing new innovations to minimise our impact on the environment. It is our pleasure to offer you ethical products and services for a sustainable future. We have extensive knowledge about the foam products used in home and outdoor upholstery in Sydney. Buy quality foam at factory prices and get expert advice. Möbeltapetsering är ett hantverksarbete som funnits sedan flera år tillbaka. En tapetserare är den person som arbetar med att klä om möbler samt utför stoppningsarbeten. Personen kan utöver att tapetsera möbler även ofta framställa segel samt sadlar. Det finns alltså olika genrer inom yrket. I grund och botten renoverar tapetseraren möbler vilket innebär att man kan anlita personen för att klä om allt mellan en stolsdyna, sänggavel, fåtölj eller kökssoffa. Vill man använda sig av en tapetserare i Waterloo så hör man av sig till närmaste, eller bästa, tapetserarverkstad för att se vad de kan hjälpa till med. Man kan med enkla medel förändra utseendet på sina möbler markant. Med lite färg och tyg kommer man långt. Genom att klä om sina dynor på stolarna i köket eller tapetsera en större lampskärm får rummet ett helt nytt utseende. Har man vackra trämöbler kan man modernisera dessa med ny färg. Ett tips är att kontakta en möbelrenoverare i Waterloo, NSW, AU om man vill klä om större objekt så som en skinnsoffa eller större fåtölj. Enklare saker kan man med fördel förändra själv. Priset på omklädning av möbler i Waterloo varierar beroende på storlek och mängden arbete men även på vilket tyg man väljer. Väljer man ett lite dyrare tyg och känner att man skulle unna renovera sin soffa eller fåtölj själv så kan detta vara ekonomiskt smart, men inte alltid det bästa valet.